Our busiest schedules do not allow us to take proper care of our skin and hair. And this is why we often face various scalp problems. If you want your hair to be voluminous and shiny, a healthy scalp is what you need first. Tea tree oil has the ultimate power to soothe down and treat all kinds of scalp problems including dry scalp, dandruff and psoriasis. Tea tree oil is an essential oil that is obtained by steam distillation of the leaves of the melaleuca alternifolia, a plant native to Australia. Treating scalp problems is one of the amazing uses of tea oil. Keep reading to learn how tea oil is good for scalp and the different ways you can use it. Prevents dandruff production: Tea tree oil acts as anti-fungal that kills the bacteria causing the over production of the skin cells which creates white flakes called dandruff. Unclogs pores in scalp: Tea tree oil contains terpinen-4-ol that has anti-bacterial and anti-fungal properties that helps to treat scalp problems. When applied on scalp, it penetrates the hair follicles, unclogs them and kills microorganisms that trigger dandruff, itchy scalp and irritation. Treats itchy scalp: It has powerful antibacterial and anti-inflammatory properties that help to treat itchy scalp effectively. Moisturizes scalp: It effectively moisturizes the hair and scalp. So it is one of the best solutions for dry and itchy scalp. It helps to get rid of the dead skin cells and dirt on the scalp thereby creating a favorable environment for healthy hair growth and scalp. Kills germs: It is a natural germicide and antiseptic that kills all the germs which causes the scalp and hair problems. Prevents sebum blockage: It unclogs sebum blocking the hair follicles and then clearing up bacterial and fungal infections. Removes excess oils: It also removes the excess oil and other dirt particles to make your hair shiny and healthy. Using tea tree oil for dandruff is a good idea for a number of reasons. It helps kill germs and bacteria that cause dandruff buildup while also moisturizing your scalp. Simply, try all these home remedy methods to get rid of scalp problems using tea tree oil. Take a small application bottle and fill it with 3/4 full of any carrier oil like jojoba oil, olive oil, coconut oil, almond oil, etc. Wash your hair with shampoo and apply conditioner. This process helps to keep all your scalp problems at bay. This process is also used to treat Smelly Scalp, Scalp Ringworm. Or you can add few drops to your regularly used shampoo and shampoo your hair with this. Repeat this process for once a day for 3 consecutive weeks. Dry scalp can be treated very well with this tea tree oil. Here is how you can treat dryness in the scalp and lock the moisture in the scalp. Use regularly the products that tea tree oil mixed in shampoos or tea tree oil based shampoos and conditioners for better results. Make sure that the shampoo in your hair is completely washed away. Finally wash it off thoroughly and then repeat it regular to get rid of the problem. Or you can use tea tree oil and massage it on your scalp, it causes some tingling sensation. Massage it all over the scalp and hair and then leave it for overnight and rinse it off in the morning. This process is also used to treat Scalp Eczema. Mix it well and pour this in an empty spray bottle. Wash your hair once in two days to get rid of the dry scalp. Get more DIY Home Remedies for Dry Scalp Treatment with various other ingredients. The scalp is likely to be itchy whenever it undergoes some allergic, fungus or bacterial reactions on it. Tea tree oil acts as natural agent that treats all your scalp problems. Try these methods to know how to get clear scalp from itchiness. This process helps to ease the itch and soothes your skin and also clears the clogged hair follicles. Continue doing this process until you get complete relief from the itchy scalp. If you hair becomes very sticky then use a mild shampoo after washing out your hair completely with that tea oil mixture. Stir it well and use this solution to shampoo your hair daily. Repeat the process regularly until you get complete relief from itchy scalp. This process is also used to treat dry itchy scalp, itchy scalp and dandruff. Regularly usage of this process for once or twice a week will be more beneficial to treat itchy scalp. This process also used in treating dry, itchy scalp. Take 10 drops of tea tree oil and add this to a tablespoon of coconut oil in a small bowl. Mix it well until the coconut oil turns to liquid form and both the oils are completely mixed. Allow it to sit for a minimum of 30 minutes to a maximum of overnight. In this process, both coconut oil and tea tree oil has anti-fungal and anti-bacterial properties that helps to prevent the itchiness on your scalp. This process also used for Scalp Folliculitis, Scalp Eczema. Also read the related post – Home Remedies for Itchy Scalp Treatment. Tea tree oil has anti-fungal and antiseptic properties that help a lot to get rid of the dandruff and itchy scalp and it also makes the scalp moisturized. Add a teaspoon of tea tree oil to 32 oz of bottle. Or you can also simply use the shampoos or conditioners that contain tea tree oil as their main ingredient in it. This process is also applicable to treat Itchy Scalp, Scalp Psoriasis, Oily Scalp, Scalp Sores, Itchy and Flaky Scalp, Dry and Flaky Scalp, Dry and Itchy Scalp, Shampoo for Itchy Scalp, Scalp Follcultis and Scalp Ringworm. Take few drops of tea tree oil and rub a moderate amount of oil into the scalp and hair before going to bed. Leave it like that for the overnight and then wash it off with shampoo in the next morning. This process helps to remove the hair stylish products, head lice, dandruff and dry scalp on your hair. Repeat the process daily for at least week will help to get healthy scalp. This process is also used to treat Scalp Ringworm. Tea tree oil is most effective oil that helps to prevent the scalp fungal infections. This is due to high content of anti-septic and anti-fungal property element called terpinen-4-ol. Allow it to stay for about 30 – 45 minutes and then wash it off normally. Follow up this process twice a week until you get complete relief from the scalp fungus. This process is also used to treat dry and itchy scalp problem. After some time, you will feel some cool, tingling sensation which represent that the oil is working on the fungus. Wash your hair with natural shampoo in the morning and repeat this every alternative day until you get complete relief from the problem. Massage it gently as it has to saturate all over the scalp. If you’re suffering from severe infection then, you can apply a little bit this mixture on the affected area after washing your hair. Tea tree oil is a proven home remedy to treat scalp psoriasis as it helps to moisture and lock all the essential nutrients that helps to treat the scalp psoriasis. Leave it like that for few hours or overnight and then rinse it off with natural shampoo (mix few drops of tea oil in it) and conditioner. This process is also used to treat Flaky Scalp, Dry Itchy Scalp. Continue doing this process once in 15 days to prevent the scalp psoriasis. Mix it well and apply this to the scalp where it is affected by the psoriasis. All these oils are anti-bacterial that aid in curing an itchy scalp and has the properties that helps to promote faster healing of the affected scalp area. Oily scalp is a scalp that always feels oily and greasy. Tea tree oil will remove the excess oil from your scalp and it not to look greasy. Follow these simple steps to get relief from this problem. Gently massage your scalp for few minutes and then rinse it off with SLS free shampoo. Mix it well and gently wipe with soft cotton ball on freshly cleansed skin. Or simply wash your hair with tea tree oil containing shampoo to get rid of the problem. Tea tree oil is one of the best ingredients that are used to treat scalp sores. Scalp sores are a painful sensation in the scalp and have negative effects on the hair and scalp i.e. in hair growth, dandruff, lice, etc. So, use tea tree oil and Jojoba Oil in the following way to get rid of the problem. Mix it well and applied this when you wake up in the morning. Let it be like that and repeat the process daily for at least two weeks to completely clear the problem. This process helps to heal the scalp sores and then makes your scalp healthy and shiny by reducing the itchiness and soreness. Tea tree oil is a natural antiseptic that becomes more potent at infection site. Dead skin cells will cause flakes that are full of bacteria and infectious agents. Tea tree oil when applied clears the bacteria that leave unsightly flakes on the scalp. Follow this simple method to get rid of this problem. Concentrate more on the area where the flakes are more. Then rinse it off with water and apply conditioner that keeps your hair moisturized. Repeat this process daily until you get complete relief from the dry flaky scalp and hair. Or simply use the shampoo that has tea tree oil as one of the main ingredient. Dry flaky scalp is caused by overuse of shampoo and conditioners as well as stylish products. This becomes dry, itchy and begins to flake off. Tea tree oil is one of the best home remedy that provides essential moisture to hair and removes the scalp build up. Try this method to get rid of it. Continue doing this process twice a week until you get complete relief from the dry itchy and flaky scalp. Tea tree oil has anti-septic properties that help for the recovery of dandruff and scalp pimples. Follow the below steps to get good relief from Scalp Acne. Apply this on the scalp, but focus more on the acne spots. Leave it like that for overnight or for few hours. Wash it off with shampoo that contains tea tree oil like kiehl’s tea tree oil shampoo or Jason tea tree oil scalp normalizing shampoo. Or you can use tea tree oil mixed with salicylic acid rich shampoo as it reduces the scalp acne dramatically. Rinse your hair with either cool or lukewarm water but not with hot water as they irritate the scalp. Repeat this for every wash to prevent scalp eczema. Following these tips and precautions will help you a lot in curing the scalp problems. Tea tree oil can cause some allergic reactions to some people that range from mild irritation to severe redness, itchiness and blistering. So test it once on small part of skin and then continue for further process. It is used topically but not be swallowed as it may be toxic. For best results, always use 100 percent pure tea tree oil in all these above methods. You may also try using this for home remedy to fix hot roots. Repeating regularly all the above mentioned methods will help to get quick relief from all scalp problems rather than doing it once. Don’t apply tea tree oil to any broken skin or rashes not caused by the fungus as it will irritate the skin and make the situation worse. Besides using tea tree oil, you have to maintain hygienic scalp all the time., have proper nutritional diet, reduce your stress levels, go for some exercise, etc. will have to be done to get rid of all scalp problems. So, start using tea tree oil for scalp today and say goodbye to all scalp issues! 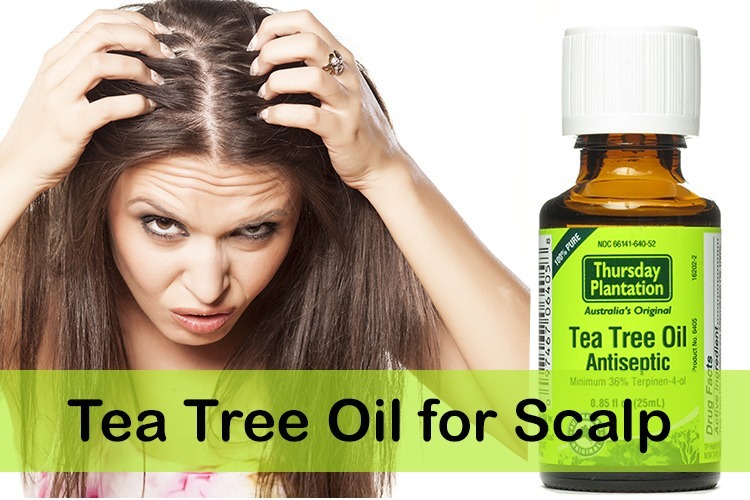 Do you have any other ideas to cure scalp problems using Tea Tree Oil? Kindly share with us by just commenting at the end of this article. Thanks so much. I used your remedies as I had scalp problems from using hair gel for decades. I had a lot of flakiness and started developing scalp sores and redness and itchiness. Also I developed bald patches because of the dandruff, which was embarrassing and I could only wear my hair long on top. I mixed 6 to 8 drops 100% pure tea tree oil with my favorite shampoo, Clear, and within 3 weeks it cleared up significantly! 8 weeks it cleared the flakes and sores on my scalp completely. I can now proudly cut my hair Number 1 with the hair machine, and my scalp is shiny and healthy. I now add 3 drops to the small bottle Clear shampoo to maintain just in case, but I don’t think its totally necessary. Thanks so much for you remedies! We now use tea tree as out natural antiseptic even for our pets we dilute it with something like aqueous cream or something natural like olive oil, and for our kids’s occasional mosquito bites. Would you please share with me how you are applying it and using it in your pets? Really True. I try my home and recovery from the dry and Flaky Scalp. Thanks Tea Tree oil…. may i ask…what size are teh jars/bottles to use for the oils or water? A regular size of spray bottle or mason jar should be fine. Is it safe to apply this product directly to scalp for my thinning hair? Yes it is safe. If you are worried, you can dilute it with any carrier oil like coconut oil or almond oil. You can mix it with other oils like coconut oil or almond oil if you want to use it daily. Sir I want to buy tea tree oil to get rid of oily ,itch and greasy scalp problem. Add few drops of tea tree oil in your shampoo and wash your hair with it. Or else apply diluted tea tree oil onto the scalp and rinse off after an hour. I’m a black womane with miduim length curly hair, do you think this mothd would be suitable for my scalp and hair?. how is the tea tree oil used to clear acne on the face? Mix tea tree oil in shampoo whenever you wash your hair. Couple of times a week apply tea tree oil and coconut oil mixture into your scalp. Leave it for an hour and wash your hair. I hope this treatment helps you. Don’t forget to share your experience with us after trying it out. iam suffering from scalp fungal infection. how can i use this tea tree oil, means with shampoo or direct applying…? Dilute tea tree oil with any carrier oil (coconut oil or almond oil), and apply it directly onto the scalp. Leave the application for an hour and wash your hair normally. Will the tea tree oil affect color treated hair? I have a oily scalp and burning sensation. It is a sebberohic dermatitis. Will i get rid of my scalp problem if i use tea tree oil with almon or coconut oil? Will tea tree oil treatments strip the relaxer out of my hair? Mostly it wouldn’t but it may in some cases. Apply some coconut oil or olive oil on the scalp. Leave it overnight and rinse off in the morning. Repeat the process daily until he gets relief from the problem. Is there a specific shampoo and conditioner i should use when washer its out? Or you would recommend? Purchase a shampoo and conditioner which doesn’t have harmful chemicals like paraben, laureth sulphate, lanolin and others. I s tea tree oil suitable for dandruff cause by DRY scalp OR OILY scalp? Yes, tea tree oil is effective in treating dandruff caused by dry scalp and oily scalp. Add few drops of tea tree oil into shampoo. Use this mixture to wash your hair. Repeat the process regularly until you achieve the results. Hi my scalp is very itchy, dry and flaky I try to wash it twice a week but it’s gotten so bad where now I have to wash everyday or every other day what do you think will help out. Yes, it will help out. Choose any one remedy from the article and try it regularly with some patience until you achieve the results. My hair is chemically treated ..i had my rebonding done 2 months ago…and my hair is straight and coloured both..will this affect on my chemically treated hair?? Will it affect on my hair straighting or colouring?? Tea tree oil may not affect the hair straightening but it can affect your coloring. You mention earlier that it doesn’t affect colour-treated hair? I’m looking to try this remedy and was wondering if you could clarify whether using tea tree oil in shampoo for example would strip hair colour/dye? Thanks. It doesn’t completely strip away the color but it can lighten the color. Any suggestions for good brands of Tea tree Oil? Aroma Treasures, The body shop and Khadi are some of the good brands. I am a 17 year old African American boy and I have already started balding, will tea tree oil help to completely stop that. If yes how? Tea tree oil alone cannot provide you complete results. It just helps you to strengthen the hair follicles to some extent. Along with tea tree oil methods, you have to nourish your body from inside to achieve long lasting results. Eat food that is rich in zinc, magnesium, biotin and vitamin A, D, C and E. Reduce your stress levels as it can imbalance your hormones and lead to hair loss. Wash your hair regularly to remove the accumulated dead skin cells and impurities. Perform hot oil massage 3 times in a week to nourish and moisturize the scalp. Drink plenty of water to keep the scalp hydrated. May I know which method are you speaking off. It helps to provide you with the right answer. Please where can I get tea tree oil? You can get them in online stores like Amazon. Can I apply Essential tea tree oil for aromatherapy direct onto my scalp? I have very itchy and oily scalp. Tried many remedies but it is still itchy and oily. Please advise as my hair looks really unhealthy. I hv stopped Coloring my hair as well. Itches after Coloring. Yes, you can. Tea tree oil helps to moisturize the scalp, restrict the oil production and reduce the itchiness. It is also helpful in strengthening the hair follicles and moisturize the hair shaft. I have a scalp rash & I purchased 100% tea tree oil. How many times a day do I apply it to the rash? & How long does it take to heal? Add 3 drops of tea tree oil into 1 tablespoons of coconut oil. Mix well and apply it on the scalp rash. Leave it overnight and rinse with water in the morning. Repeat the process 3 – 4 times in a week until the rash clears. It is difficult to tell the exact time as everyone is different. However, you should start seeing improvement in few days. If you don’t see any improvement even after using the treatment for 2 – 3 weeks then consult a doctor. I am an African American woman with naturally long thick hair and I was diagnosed with scalp psoriasis two years ago. I have tried to treat it with the prescribed topical medications, but I grew tired of doing that as the medications were not very good for my scalp. I read your article and tried the tea tree oil and olive treatment and I got so much relief!!! Thank you sooo very much!!! I am so happy that I can across your article! Thanks for your appreciation and sharing your experience. Just want to comment… I had issues with my scalp for 20 years or so – dry, red, itchy, lots of white flakes. Horrible. 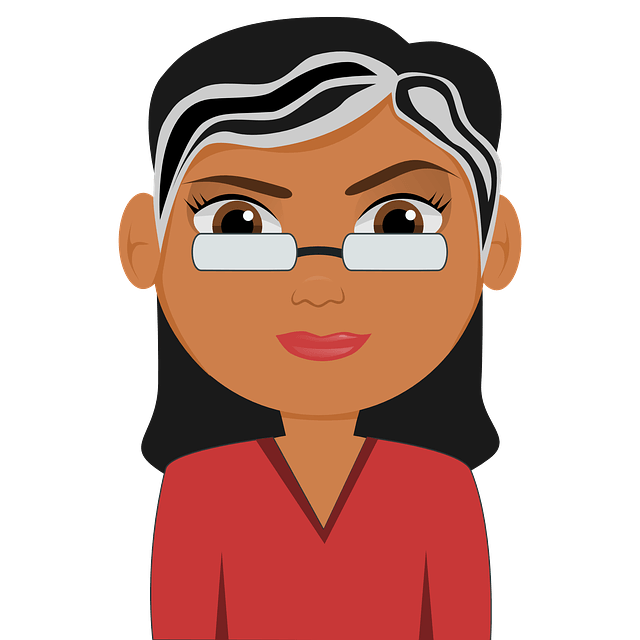 I tried everything, but only cortisone worked…. until I found a product that was a type of scalp treatment mask with tea tree oil, It worked! Now I use tea tree oil from time to time to keep the scalp healthy. Try it if you have similar problems, No need to go to the doctor and get a prescription. You can buy tea tree oil in online store like Amazon or Walmart. Hi I have afro /natural hair and wish to try the tea tree and coconut oil method to relieve itching associated with alopecia/bald spots. As I do not wish to wash my hair everyday with a shampoo can I just use water to remove this if applied overnight or can i leave this on the scalp for a2 to 3 days and then wash out completely with a gentle shampoo & conditioner. Yes, you can try. However if the scalp remains oily even after washing your hair with water then it is better to use any herbal or mild shampoo for washing your hair. Hi! I had an itchy scalp and thinning hair for about five years. I stopped using schampo with SLS and parabenes maybe two years ago. I also used coconut oil and this helps relieve the itchyness, but when I use it I loose so much hair. Now I´m really worried because there is so little hair left. What would be the best way to use the tea tree oil for me? Should I warm it up before use? Also, when I brush my hair there is soo much dirt left in the brush. I can only use it one time and then I need to wash it again. I would be grateful for any specific advise! No, you don’t have to warm up the oil before applying it on the scalp. You have to dilute it with any other carrier oil like castor oil, coconut oil or olive oil. It is better to wash your hair regularly to avoid the accumulation of dirt on the scalp. Sir, i have oily scalp and dandruff.. So how much tea tree oil have to use with shampoo..
You can add 5 – 6 drops of tea tree oil to the shampoo you use for washing your hair once. Yes, you can however do a patch test once before trying it. Yes, you can color your hair without any problems. The texture of jojoba oil is similar to the ones of our skin, so it is completely safe for application on the rashes. It doesn’t really matter which carrier oil you are using to dilute the tea tree oil. So, you can use the ingredient as per your availability. Yes, you can use tea tree oil and apple cider vinegar mixture to rinse your hair but make sure you don’t repeat the two processes in a single day. I have quite thick Asian hair and recently I have got dry and flakey skin in my scalp which itches a lot and irritates my head. I was looking at tea tree oil for a remedy which method would be the best for my hair type? Also does tea tree oil cause hair loss as it has been said by some people? Would it affect colour treated hair too? You can try 1st method or tea tree oil rinse mentioned in the above article. Nope, tea tree oil doesn’t cause hair loss but it can fade the color treated hair. I have a 4 year old son with tinea fungus / scalp fungus …. how many times a day and how many drops fo i put on his fungus ? You have a problem and that problem is oily scalp. Knowing first the causes of it would enable you to keep on doing such so here’s a good read about it https://www.svenson.com.ph/oily-scalp-cause-hairloss/ and then apply these scalp treatment and fight oily scalp problem as fast as possible. I had breakouts of sore itchy bumps on my scalp for almost a year and nothing I bought worked until I started shampooing every three days with a mixture of baby shampoo, tea tree oil and dove sensitive body wash. If I got the odd bump I put polysporin on it. This has worked for me, bump free for two months! I have Seborreic Dermatitis on and behind my ears. Can tee tree oil help it? Can I use it by itself or mix it with something? I have a very dry and itchy scalp. My scalp has a lot of flakes (very embarrassing) and after scratching it becomes oily. What is the best remedy for this and how often should I use it? I have very dry and itchy scalp. My hair has a lot of flakes (very embarrassing) and after scratching it becomes oily. What can I use to treat this problem and how often should I use it? I don’t want ask questions that you’ve already answered so i just want to clarify. I’m also an african American woman with natural (no chemical treated) hair. I dont want want to wash everyday because it takes hours to wash and comb through my thick, long hair. My scalp itches really bad. You’ve stated on a previously asked question that i can just add 3 drops of tea tree oil to a tbsp of carrier oil and apply directly to scalp, leave in over night and RINSE WITH WATER (apply 2 to 3 times a week). Correct? Can I just dilute Tea tree oil with warm water and apply on my scalp? I have oily scalp and facing hair falls recently. Does it work? I would like to avoid greasy products to the max. I have a very itchy scalp but no dandruff. What is the best method to use with the concentrated Tea Tree Oil?